The new headset uses Insight and Passthrough+ technology to iterate on the existing Rift hardware, and it's coming this spring. A brand new Oculus VR headset has been revealed at the Game Developer Conference (GDC) in San Francisco. 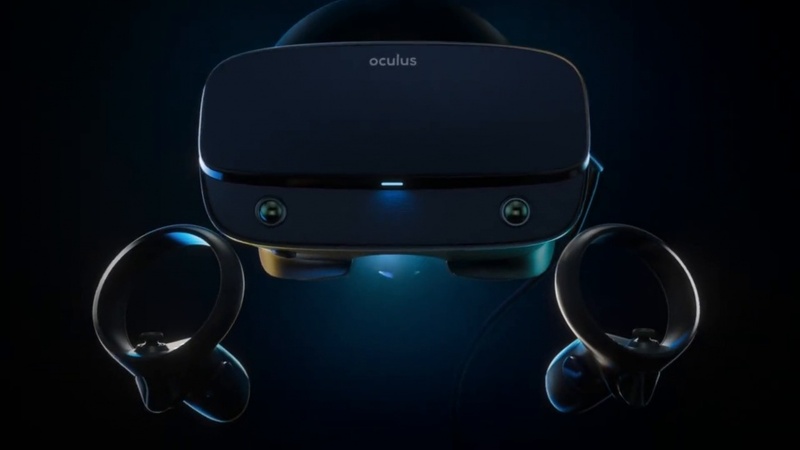 The Oculus Rift S is built using the Rift platform and will launch this spring for $399 USD, bringing higher resolution via improved optics and display technology, delivering a better image with higher pixel density. The blog post also reveals that - while you can play existing games on this headset - others like Asgard's Wrath, Stormland, and Defector are also coming. Here we find out that the headset was developed in partnership with Lenovo too, who co-designed the headset for more comfort, light blocking, and better weight distribution. There's also a single-cable system, as well as the integrated audio system from Oculus Quest and Go featuring a headphone jack. Oculus Insight is also integrated just like with Oculus Quest, which provides inside-out tracking without the need for external sensors. There are five sensors within the headset to make this possible, and Oculus Touch controllers work alongside the Rift S.
As if that wasn't enough, the headset features Passthrough+ as well, a feature that produces comfortable stereo-correct passthrough to reduce depth disparity and improve performance. For more on the Rift S be sure to check out the video below. Will you be getting this to try out some VR?